Programs designed to maximize development and love for the game. Three of our programs are 2x a week compared to most others being 1x. This added value of more time on the ice, for more weeks will provide the determined player faster learning of all the skills required to play team hockey. For those with time restrictions a "combined" 1x a week session has been added on Saturdays. Join at any time! 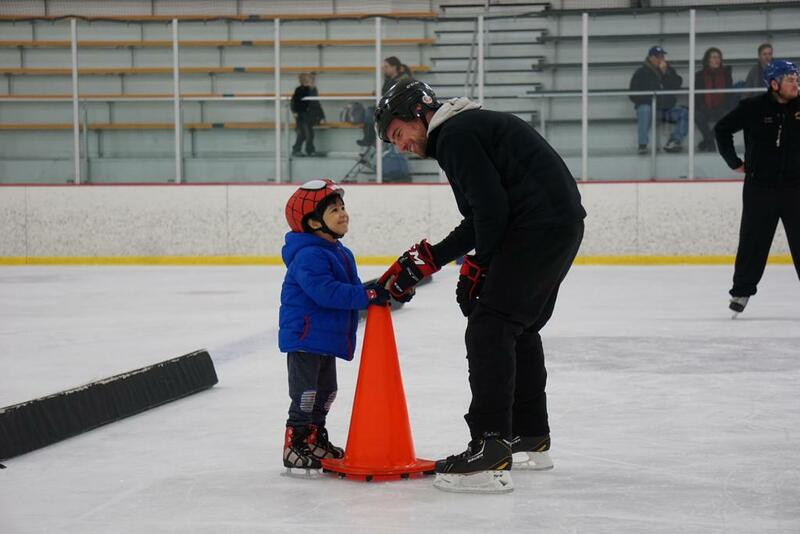 Skating ability is the key to enjoying hockey for life. This program is ideal for brand new skaters or those with limited experience. It focuses on the 7 key elements of skating that make the other 4 major skills (stick handling, passing, shooting and safe checking) Our unique SUMO System of skating development gives students the very best chance to progress to skill development with sticks and then to playing team hockey. Getting it right from the beginning is very important. Players are required to wear at least a bike helmet. Advanced training in preparation for league team play. 1 and 2 and are now preparing to play full ice team hockey. of the Sumo system of the 7 elements of skating and now applies those to hockeys four other major skills: Stick-handling, passing, shooting and gaining possession of the puck- safe checking. The main focus is to prepare players to play full ice Coyote, Wolf Pack and Wolverines competitive team hockey. Players are recommended to supply helmet with face-mask and stick. Equipment is available to borrow up to certain sizes.